MicroRNAs (miRNAs) are small noncoding RNAs that modulate the expression of target mRNA. They are involved in many biological processes such as developmental timing, differentiation, cell death, immune response, stem cell behavior, and cancer. Growing evidence suggests that miRNAs play vital roles in regulating several aspects of stem cell biology in Drosophila including cell division, self-renewal, and differentiation. 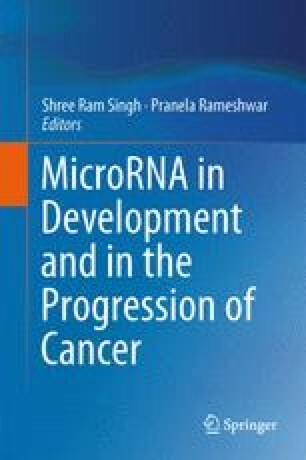 In recent years, miRNAs have emerged as collaborating factors that promote the activity of oncogenes in tumor development. Here, we present a brief overview on the role of miRNAs in the regulation of stem cell behavior and tumorigenesis in Drosophila. This research was supported by the Intramural Research Program, National Cancer Institute of the National Institutes of Health. Lyric Forney is supported by Werner H. Kirsten Student Intern Program (WHK SIP) of National Cancer Institute at Frederick.